Discover the “Gustavian” style rooms of Hotel de la Mairie, including one room for the disabled. 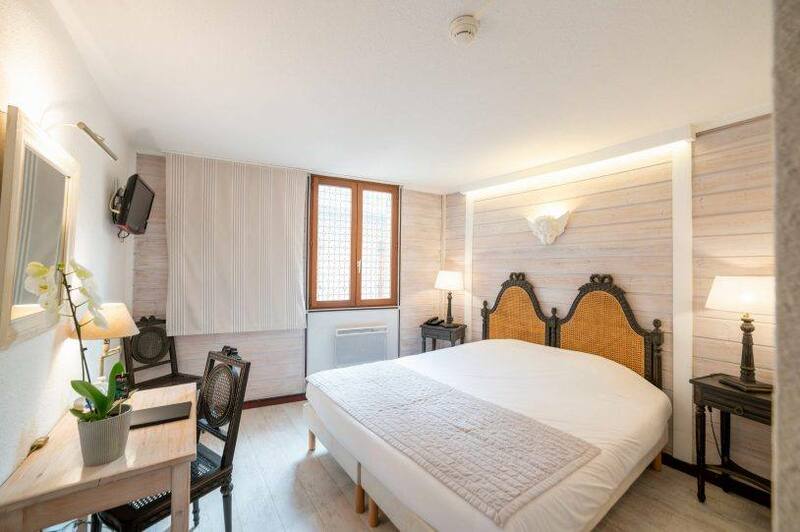 For your utmost comfort, the rooms have been recently renovated, offering you a modern and refined ambiance. The hotel rooms are located on three floors, with lift access. 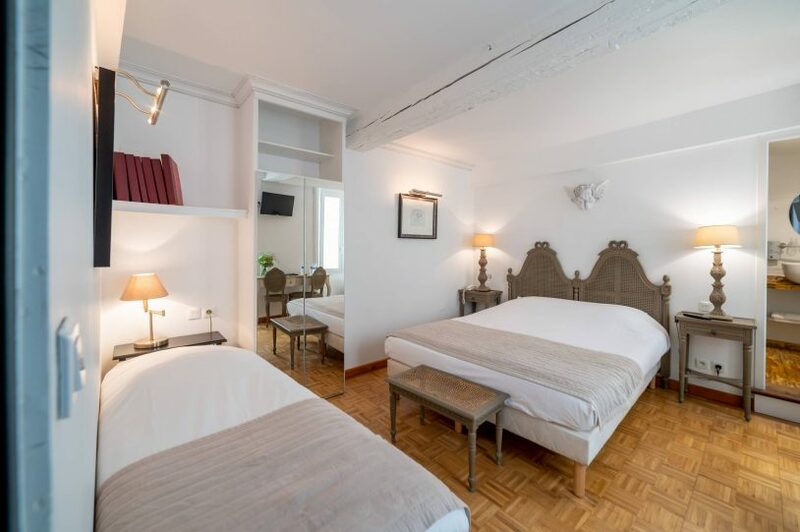 You will find all of the necessary comfort in the private bathroom (shower or bathtub) with hairdryer and complimentary welcome kit, toilet, telephone and television (Canal + and Canal Sat).